This honeymoon master suite has a fireplace and French Doors that open onto the deck. 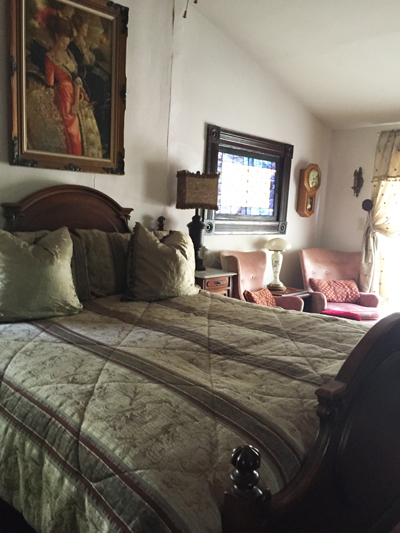 Antique King Bed and private bathroom with shower. Enjoy the sitting area that is furnished with an elegant armoire with beveled glass and a dressing table.